Last month I promised a look at digital reissues of some of my favorite contemporary Christmas romances for December. I know these last days before Christmas are insanely busy with cooking, shopping, giftwrapping, and celebrating in gatherings large and small, but if you can find a few hours for you amid the tinsel and tumult, any one of these is a real holiday treat. I hope you’ll find something on this list perfect for your taste, something that allows you to return to your world with your Christmas spirit renewed. Originally part of a Silhouette Christmas anthology in 1988, this novella has been expanded and reissued as a single title. Lacey Bryant, a truck stop waitress in Albuquerque, has been estranged from her family since she was nineteen and pregnant. A single mother of two, Lacey’s fondest wish is to reconcile with her father so that her children can know their grandparents. To that end, she is planning a trip home to Pine Grove, North Carolina for Christmas, thanks to the generosity of trucker Pate Andrews, a fatherly widower who has agreed to let Lacey and her children ride with him on a cross-country trip. When Pate breaks his leg, Barry Cooper, a member of the Bah-Humbug contingent, reluctantly agrees to include the Bryants in his delivery of Pate’s load. 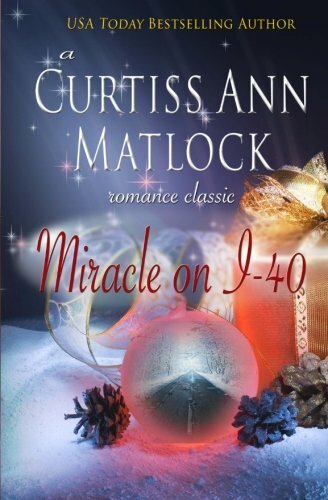 Lacey is a strong heroine, Cooper is a lonely, wounded heroine, the kids are as authentic as they are appealing, and four days on I-40 will convert Cooper from a Scrooge into a true believer in the holidays and give Lacey more miracles than she dreamed of. I think of Matlock’s books as the contemporary version of Carla Kelly’s historicals. Like Kelly, she excels at revealing the extraordinary in the lives of ordinary people. Debbie Macomber published her first Christmas romance more than thirty years ago. In the years since then, she has written more than two dozen Christmas stories. I’ve read most of them, but her books about that mischievous trio of angels, Shirley, Goodness, and Mercy (seven in all), are my favorites. I recommend Angels Everywhere which offers two of these novels: A Season of Angels, the first of the series (originally published in 1993), and Touched by Angels, the third book (originally published in 1995). In the first one, Gabriel sends Prayer Ambassadors Shirley, Goodness, and Mercy to earth to answer three Christmas prayers—a little boy’s prayer for a new dad, an up-tight, upright single woman’s prayer for a husband, and an obstetric nurse’s prayer for a child. The angels must bring the heroines of the three stories to recognize their need to change, tasks that are made more difficult by the temptations certain earthly devices present for these celestial beings. The pattern continues with the other book, although the setting changes to New York City. I quite literally cheered when I was finally able to replace my tattered copy of this 1994 Loveswept print copy with the digital version. I cannot count the times I have reread this story of Taylor Bishop who is weary of being responsible for making Christmas merry for her father and brothers. The last thing she wants is Drew Haywood asking for her help in giving his young son a special Christmas. But Drew’s effect on her is as potent as ever, so saying no to him is not easy. As for his son, soon the little boy has earned his own place in Taylor’s heart. But is the love she’s discovering a Christmas special or is it a love for all seasons? Marilyn Pappano first invited her readers to spend Christmas in Bethlehem with Season for Miracles in 1997, the first book in a series about a town where angels appear ordinary but the miracles that accompany them do not. Season for Miracles became a Hallmark Hall of Fame movie in 1999 with Patty Duke as the angel. But for some reason, the first book has never been reissued in digital format. The second book, Some Enchanted Season (1998) has, as have the other, non-Christmas books in the series. Some Enchanted Season takes readers back to Bethlehem just before Thanksgiving, but at the heart of the book is the Christmas nearly a year earlier, a season of betrayal revealed by a Christmas gift. The heroine recovering from near-fatal injuries sustained in a Christmas Eve accident has forgotten that Christmas, but the closer another Christmas draws, the stronger is the possibility that she will remember and destroy the joy she and the hero have rediscovered. Bethlehem with its reappearing angel, its lessons about love, and its fostering of forgiveness is a warm fuzzy-inducing place to spend a few hours of the Christmas season. This is one of my all-time favorite categories by one of my all-time favorite authors. It is as good now as it was when I first read it in 1998. Claire Franklin has no Christmas traditions; she doesn’t even have any bright memories of childhood celebrations. She decorates her bed and breakfast for her guests and with the faint hope that she’ll find a bit of Christmas spirit. Zane Hunter is one of those guests. Severely injured by the car bomb that killed his friends, he has come to Franklin’s Bed & Breakfast to recover. Soon Claire and Zane are dodging bullets and learning they can trust one another. Christmas is the perfect time for two lonely, wounded people to find each other, and when their story is told with the emotional power that is standard in every Ruth Wind/Barbara Samuel/Barbara O’Neal book, the reader has a holiday treat worth keeping. And the epilogue . . . sigh! I read this one first in 2000, the year it was published in print. Even my sister, who is not a romance reader usually, loved it. Sadder than most Christmas tales, Twelve Days offers a troubled marriage tale and three apparently abandoned children, Emma, Zach, and Grace—real kids rather than cute, precocious paper dolls. Sam and Rachel McRae have given their hearts too many times in their efforts to build a family. They accept these foster kids reluctantly, determined not to fall in love with them. Of course, they do, and they also save their marriage, but not before the reader is forced to resort to a hanky or two. This book is free (as of 12-9) for Kindle and Nook. It is also part of Christmas with the McRaes, a box set that includes the first three books about the McRaes plus a bonus short that introduces Hill’s New Adult series about another generation of the family. This JKJ Everlasting Love tale is another multiple-hanky read. Will and Dinah O’Keefe have a history, and part of that history is an exchange of Christmas gifts. The tradition started on their first date when Will gave Dinah a chef’s apron to show he believed in her and her dreams. Decades passed, and the love that ignited between two teenagers filled with hope and fear survived Vietnam (his service and her protests), separation, and careers. The love and the Christmas traditions continued through years of marriage and bringing up three children. But a tragedy shattered their family, and they are left to wonder if all that remains of the love and Christmases they shared is memories. This is a deeply emotional read, one that may resonate with particular power for readers old enough to remember the times that serve as a backdrop for the story. 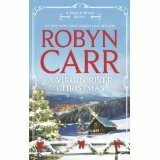 The fourth book in Carr’s beloved Virgin River series, this 2008 novel is the first of three Christmas books (plus one novella) in the series. The tradition of the town’s Christmas tree lighting celebration that includes shared food and drink at Jack’s Bar and caroling—a bit awkward and limited to first verses is introduced in this book. There’s even a Christmas sermon, one about the Christmas star and its promise. The folks in Virgin River don’t stop with decorations and words. They take care of those in need—whether they need a good meal, a good hug, or a good listening ear. Idyllic? Maybe, but it’s the kind of place I love to spend a few hours each Christmas. The final story in a 2009 anthology, this novella is the best in a collection of solid stories. Merrieta Monroe has always sworn that she would not end up in Webster Groves working at the family diner, but when her family needs her help and she dumps her cheating fiancé, she comes home. Now if she can just deal with her big secret, the Monroe holiday extravaganza, and Gavin McDonnell, a part of her past she can’t forget, she’ll be fine. This story had me at line one: “Within moments of walking downstairs to the diner, Merrieta Monroe was violently assaulted by Christmas.” The story that follows made me laugh, sigh, and blink away a few tears. A Rita-winner with a gender-bending Santa, a troubled teen angel, and an old flame reignited, it fits right in with my Christmas classics. 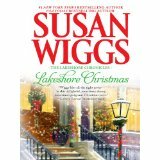 Avalon, the setting for Wiggs’s Lakeshore Chronicles series has an annual Christmas pageant. The pageant is central to this 2010 book, the sixth in the series. This year it is co-directed by a librarian, a traditionalist who loves Christmas and all the decorating, gift wrapping, and family gatherings that are the essence of the season for her. The other director is a former child star who is embarrassed by his role in a perennial favorite Christmas movie, resentful of his childhood on the road with none of the traditional trappings of the holiday, and generally bitter about “ex-mas,” a time when he’s been dumped three times. As these two work through their differences, learn to understand each other, and predictably fall in love, they also create a pageant that is distinctly theirs and one that speaks to the meaning of Christmas. There’s even an angel, an unusual one with a connection to Avalon. Christmas music is an important part of the story too, from the usual Christmas carols to “The Runaway Reindeer,” the song from the hero’s old movie that continues to haunt him, to the new carol he writes. I could not possibly rank order these favorites, and so I have listed them in order of publication. There are also dozens of other contemporary Christmas romances among my keepers. Some have not been made available in digital versions, including Muriel Jensen’s A Carol Christmas and Anne Stuart’s Falling Angel. If you find these in print, grab them and read immediately. Whatever holiday you celebrate, may your season be filled with light, love, and laughter and with good books read beside the Christmas tree--or in some other favorite spot. Twelve Days has been on my tbr for awhile; I guess I should grab and read. All that you have posted look great. I have loved the Macomber, Carr, Wiggs and Pappano you have highlighted. I read the entire Bethlehem series; it was wonderful. I absolute love contemps. I love the Bethlehem series too, ladbookfan. In fact, I recommended it to another online group a few months ago as a best contemporary series. It's one I pull down for a reread when I want to escape into a fictional world for a while. I especially love Father to Be and First Kiss. I like Pappano's writing but I haven't read her Bethlehem series yet. Another case of too many books, not enough hours. I really need to make the time to catch up on these. Thank you for posting these Christmas novels. I love the shorter stories that I can just pick up for a quick read this time of the year. I have read Debbie Macomber, Robyn Carr, Molly O'Keefe and Susan Wiggs. Need to read the others listed here. Love Teresa Hill' s Twelve Days and the series that followed. Also loved Christmas on Copper Mountain by Jane Porter and all of Melissa McClone' s Christmas stories.